I half-wish I'd read this as a teenager. The final book of the series that became The Once and Future King is a crummy finale to a well-told tale, but like the other volumes it asks great questions. Written at the end of Britain's WWII experience, it's naturally bogged down with questions of war, human nature and morality, and political economy. 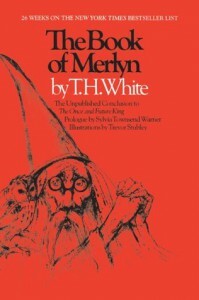 It's tremendously ponderous.The problem is that Arthur, Merlyn, and Committee also provide answers. Oh, and that it fails to challenge the reader to think while also wrapping the lesson into a tale that moves and engrosses.